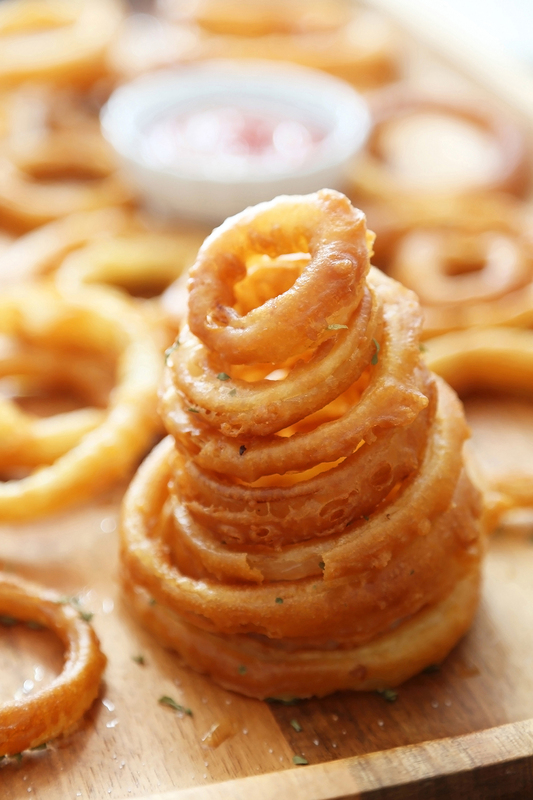 Snack on a stack of these crispy, salty onion rings! 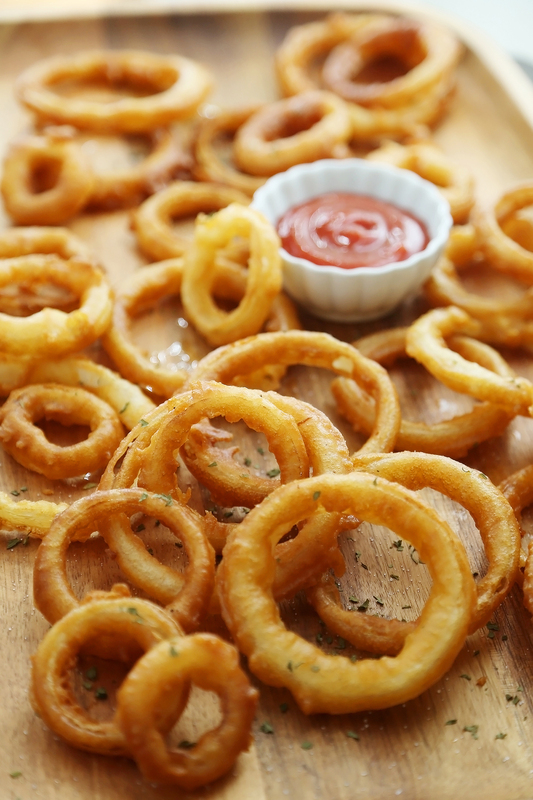 Simple ingredients and quick cooking makes these the most perfect-ever onion rings with a light, non-bready texture and irresistible crunch. 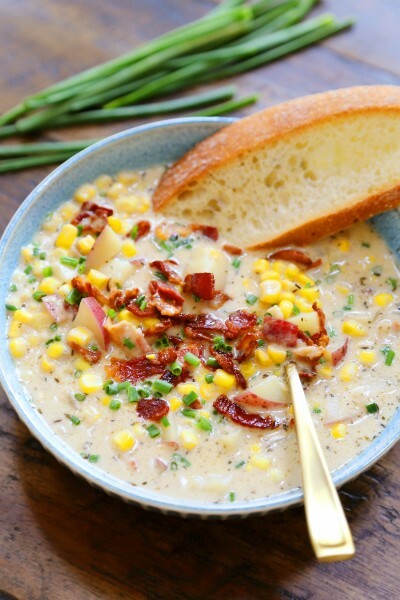 The perfect comfort food for game days and family nights in! It’s my birthday! So, to celebrate, I present to you my favorite-ever food vice: Crispy, salty, burn your tongue because you can’t help it, fried onion rings! Yes, fried. Because there is no substitute for the real thing. 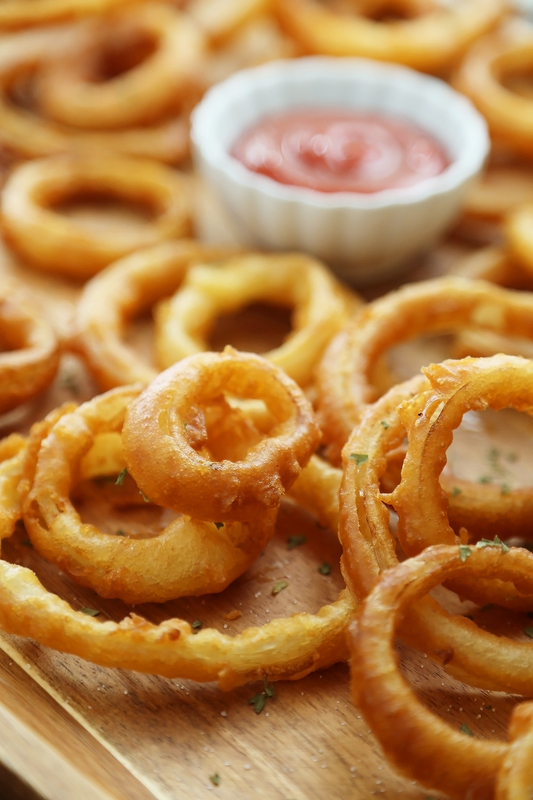 I am an expert because I have tried all the substitutes, and I have found nothing comes close to a true, restaurant style fried onion ring with basic ingredients and a fearless attitude towards frying. It’s not that scary, you guys. 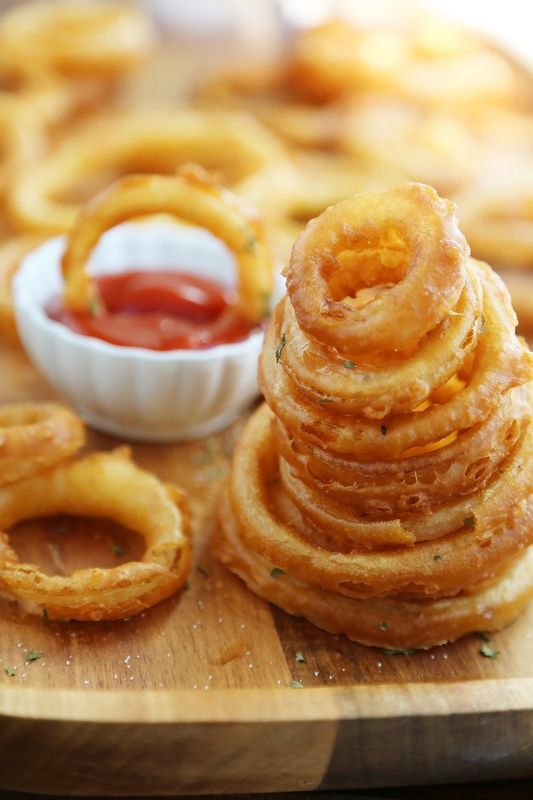 Serve with your favorite sandwich or salad, or as a stand alone treat, there is nothing better than a stack of hot, crispy salted onion rings with a light, non-bready batter. 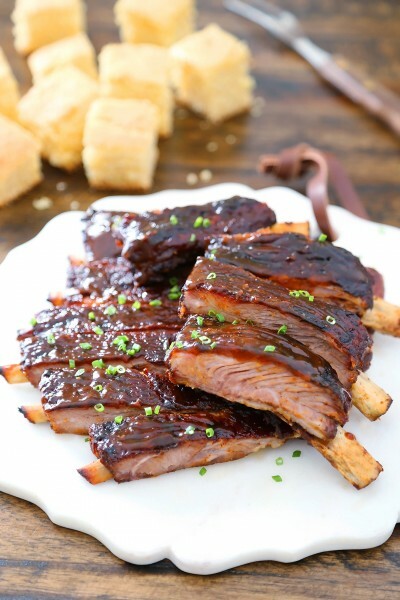 This almost-perfect recipe from Genius Kitchen was just what I needed for a little game day indulging, and no one indulging with me was complaining! I say almost-perfect because I changed up the recipe for the better. Keep reading, and you’ll see why! 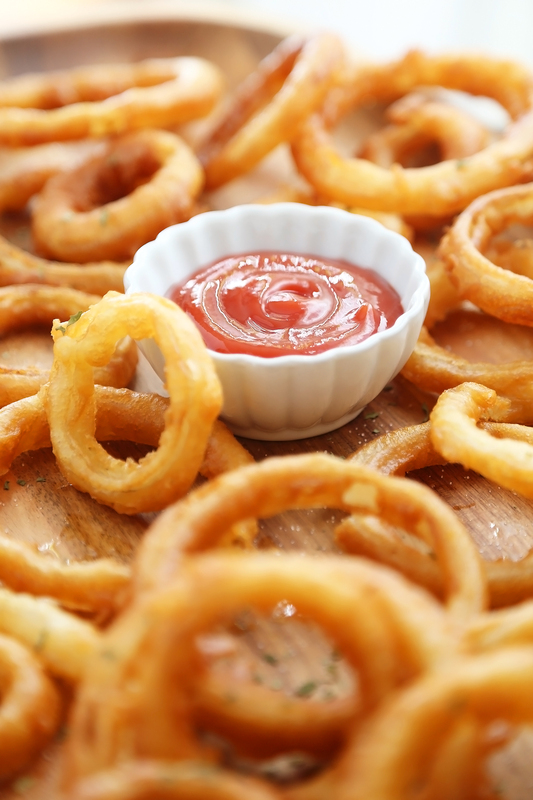 Paired with a spicy-sweet ketchup + Sriracha sauce, these lightly crisped onion rings were absurdly delicious! 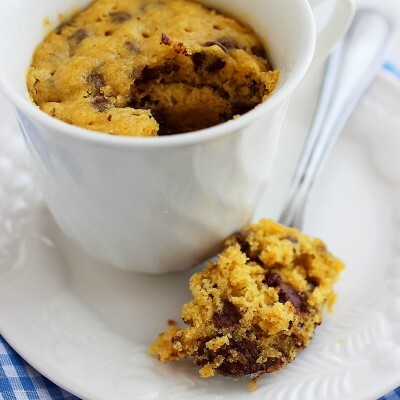 I mean, how perfect would these be for a get together with friends and family? 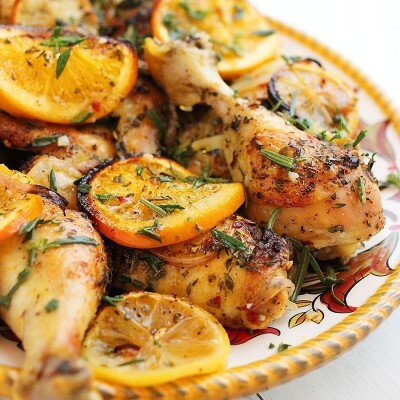 You can cook up a batch a few hours ahead, and keep them warm in your oven until guests arrive. Make a few different dipping sauces. Easy, easy, easy. And come on, absolutely everyone loves these – even your health nut bestie won’t flinch at a fried onion ring. You will have more takers than you can feed! So, uh, definitely double this one for a hungry crowd. Now, I’m not all talk. When I say they’re foolproof, I mean it. Importantly, you just need to make sure your oil is hot enough for frying. 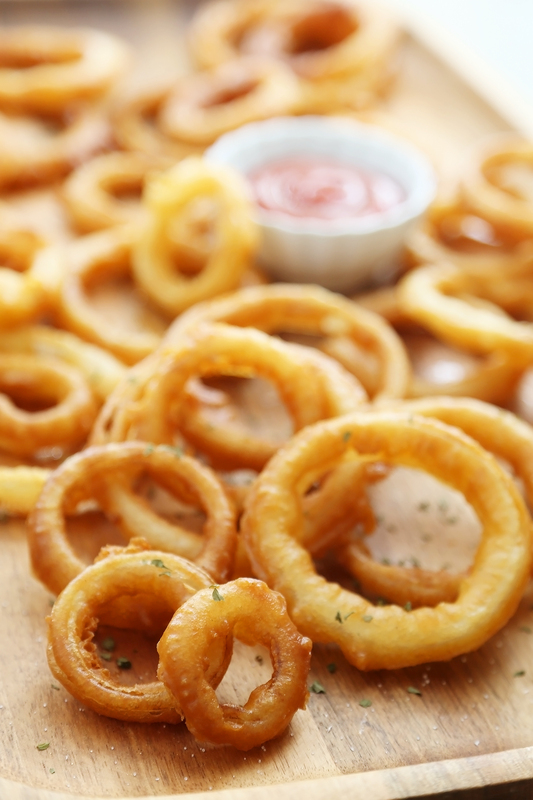 Too-cool oil means soggy, and “soggy” + onion rings is a tragedy. Pour a couple cups into a heavy-bottomed pot and let it preheat to about 375 degrees on a kitchen thermometer. Meanwhile, make your batter. 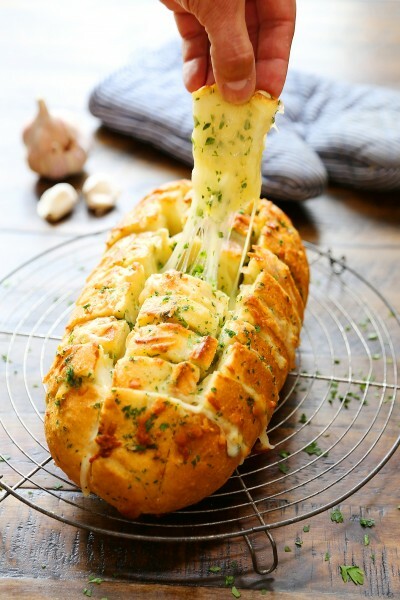 This is a simple mixture of egg, oil, milk, flour, baking powder and garlic powder for a little added flavor. 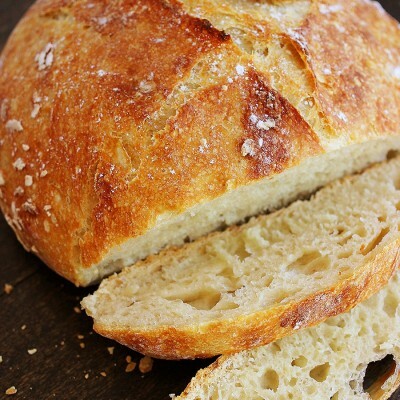 Unlike the original recipe, you don’t need to dip your rings in flour first. I found dipping the onion slices right into the batter held up fine, and created an extra-light coating on the rings. Fry them in batches to avoid difficulty with the rings sticking together, and set out a large baking sheet with paper towels for draining. 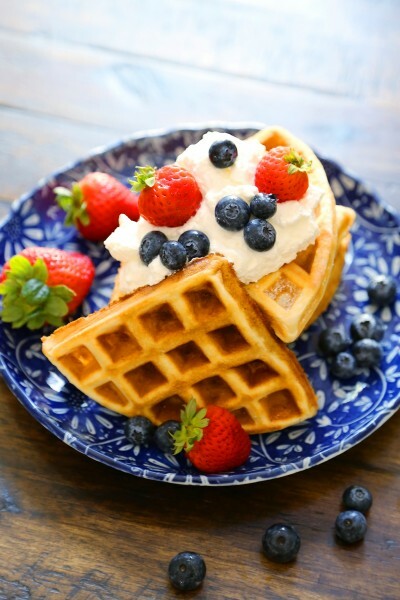 And snacking, as you cook more! 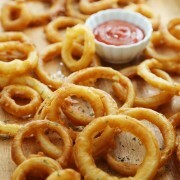 You will love these irresistible onion rings for family nights, game days, and good old fashioned indulging! Stop searching, because this is the most PERFECT recipe you will find. Give it a go this weekend! In a large bowl, combine egg, 1/4 cup oil and milk. Mix with an electric mixer, set to low speed, for 1 minute. Add dry ingredients and continue to mix until smooth. Add 6 cups oil to a large, heavy bottomed pot set to medium heat. Preheat for about 10 minutes, or until oil reaches about 375 degrees. Reduce heat to low-medium. 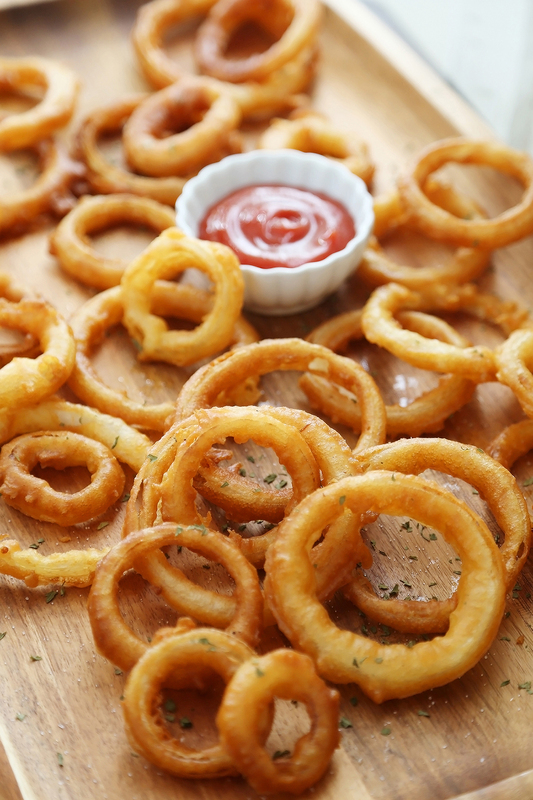 Prepare a large baking sheet with paper towels, to drain excess grease off fried onion rings. Dip onion slices in batter, then place into hot oil. Do this in batches of 4-5 onion rings at a time, so they don't stick together. Fry until golden on both sides, flipping after 30 seconds to 1 minute. Be attentive and take care not to burn. You may need to continue to reduce your heat as they cook. With a slotted spoon, remove onion rings to paper towel lined sheet. Repeat with remaining batches. 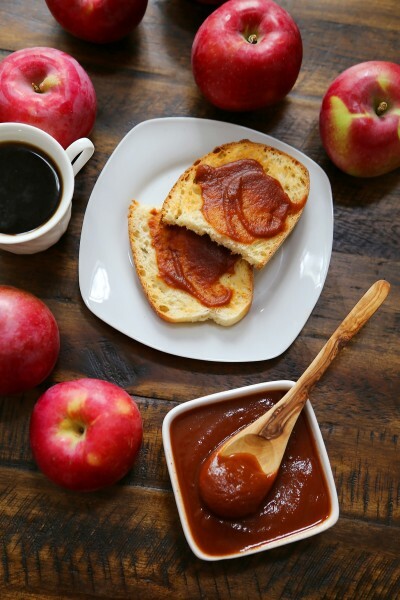 Serve with ketchup, or a spicy ketchup + Sriracha mixture. 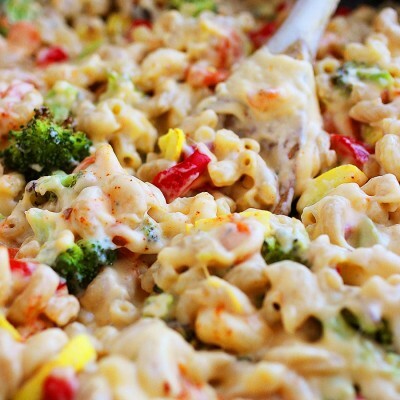 This recipe can be easily doubled for a crowd. 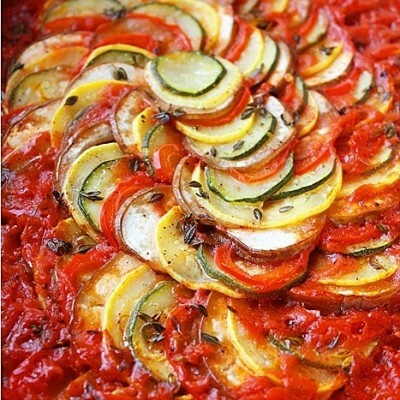 You can cook them a few hours ahead, and keep warm in your oven before serving.